Ray Kurzweil is arguably today's most influential and often controversial futurist. 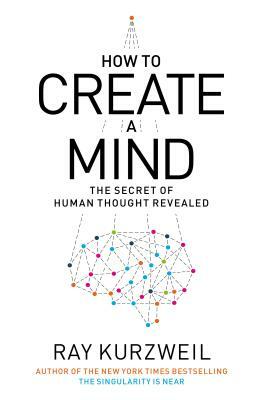 In "How to Create a Mind," Kurzweil presents a provocative exploration of the most important project in human-machine civilization reverse engineering the brain to understand precisely how it works and using that knowledge to create even more intelligent machines. Kurzweil discusses how the brain functions, how the mind emerges from the brain, and the implications of vastly increasing the powers of our intelligence in addressing the world's problems. He thoughtfully examines emotional and moral intelligence and the origins of consciousness and envisions the radical possibilities of our merging with the intelligent technology we are creating. Certain to be one of the most widely discussed and debated science books of the year, "How to Create a Mind" is sure to take its place alongside Kurzweil's previous classics which include "Fantastic Voyage: Live Long Enough to Live Forever" and "The Age of Spiritual Machines. Ray Kurzweil is the author of "The New York Times" bestseller "The Singularity Is Near" and the national bestseller "The Age of Spiritual Machines," among others. One of the leading inventors of our time, he was inducted into the National Inventors Hall of Fame in 2002. He is the recipient of many honors, including the National Medal of Technology, the nation s highest honor in technology. He lives in Boston." Kurzweil's vision of our super-enhanced future is completely sane and calmly reasoned, and his book should nicely smooth the path for the earth's robot overlords, who, it turns out, will be us. "Kurzweil writes boldly and with a showman’s flair, expertly guiding the lay reader into deep thickets of neuroscience." This book is a breath of fresh air.... Kurzweil makes an argument for optimism. "A fascinating exercise in futurology." ~Marvin Minsky, MIT Toshiba Professor of Media Arts and Sciences; cofounder of the MIT Artificial Intelligence Lab; widely regarded as "the father of artificial intelligence"